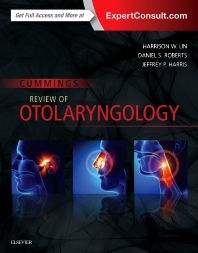 Covering the entire spectrum of otolaryngology, Cummings Review of Otolaryngology is your go-to resource for efficient and effective preparation for in-service exams, the ABO oral and written boards, and the recertification exam. Using a logical, systematic approach, this unique review by Drs. Harrison W. Lin, Daniel S. Roberts, and Jeffrey P. Harris covers the most essential clinical information – such as differential diagnosis, clinical algorithms, and treatment options – in an easy-to-remember list format, helping you quickly respond to questions in a clinical and testing situation, teach other residents and medical students, or assist in patient management.